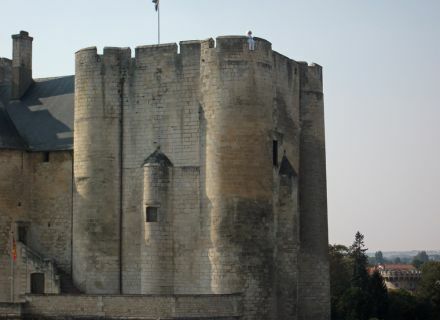 Remember in April, Alain invited us to look in the air to pursue curiosities, to discover the city differently… I propose you the same thing today, but this time in search of astronauts. Yes ! 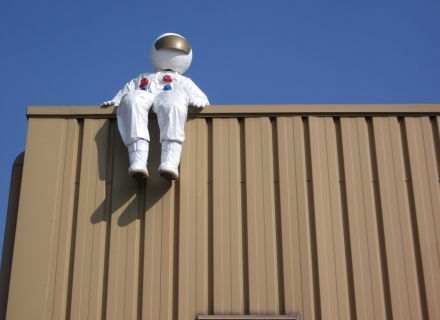 6 astronauts (+ a seventh which will be revealed on October 3rd on the occasion of the evening "Power 4" to Camji) who contemplate us sat, of above, like guards on the city. 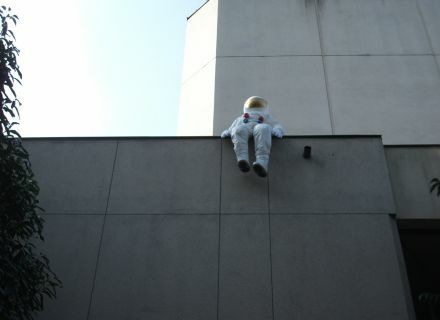 This astronauts' raid is the work of the artist Milo. 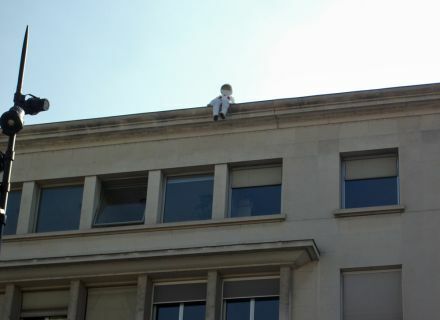 He was in residence in the CNAR (National Center of Street entertainments in Poitou-Charentes) from January 13th till February 15th, then from 10 till 16 September. During his first residence, Milo wondered about these explorers of the space working in another universe. 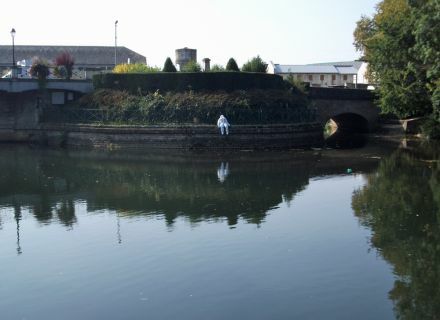 workshops and meetings punctuated his first presence in Niort to make sensitive and introduce the youngest to the practice of the street-art. 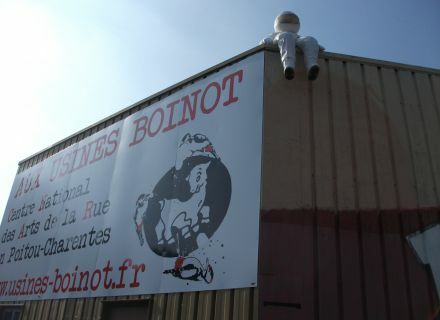 His return in Niort in September allowed the installation of his astronauts on the site Boinot and in the city center. A way of rediscovering the landscape which surrounds us, to be allowed amaze (and be surprise for the occasion !) by the short-lived presence of a plastic installation, a shadow, a word. This time, it is rather made a success because having found one, I raised at once the head to look for the others. Raise eyes and look for these small white men. Nobody will blame you, for once, if you are absent-minded !